Time to leave Disney World :( Must come back again! I miss this place so much! 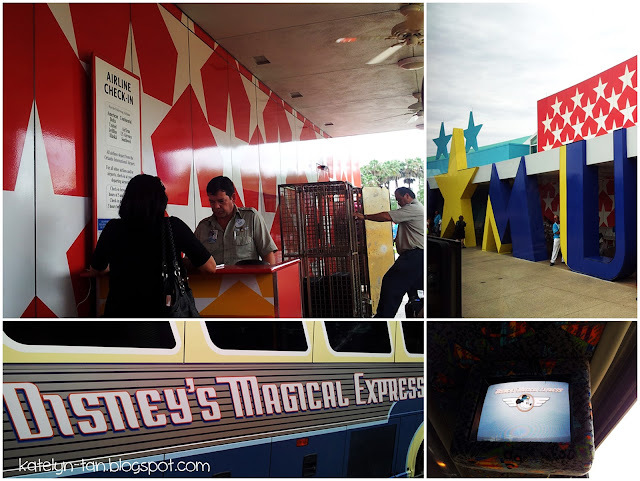 Disney World has really good services if you stay with them (though pricier but a good experience). 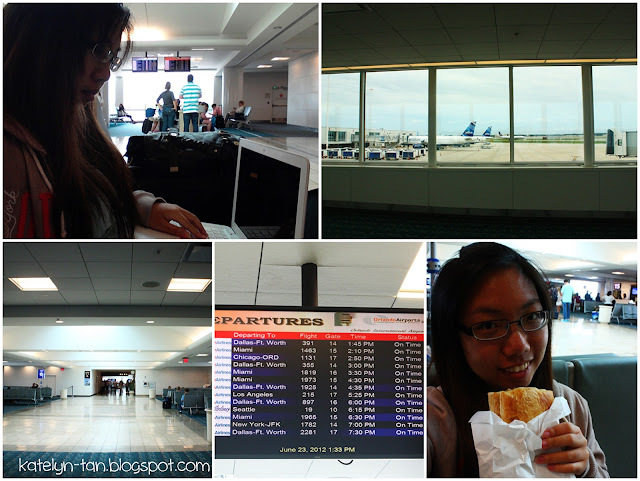 One benefit would be having airline check-in right at your hotel and also transport to the airport! luggages checked-in at Disney hotels. 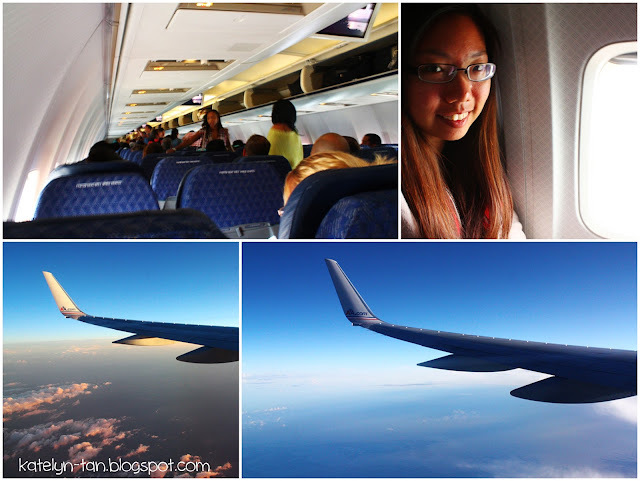 The airline I took to Los Angeles was American Airlines. Joy and Amelia took Southwest. We bought our tickets on different dates. So we were all on different flights. Our first solo flight! The difference between Southwest and American Airlines would be the 2 free checkin baggages that Southwest offers and American Airlines don't. But after adding the baggages fees, the prices were comparable. So I took American Airlines because by the time I wanted to get the Southwest tickets, they got really expensive. But I'm glad I took American Airlines! Reason being, American Airlines has fixed seating so I could checkin my luggages at Disney. Joy and Amelia had to bring the luggages to the airport and check in there. So I sort of travelled light with only one hand carry? This was something Disney World did not tell us though. Even when I emailed them our flight details, they didn't tell me! 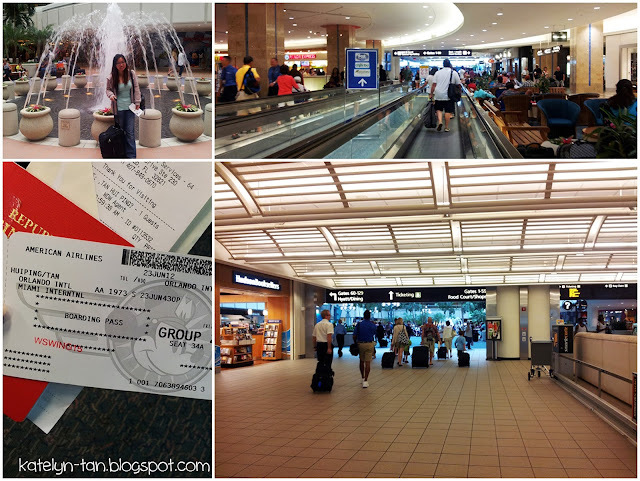 Photos taken at Orlando Interantional Airport (MCO). I had quite a bit of time at the airport cause my flight was later (Joy and Amelia's was earlier). Towards Miami! :) Happy girl with her window seat. 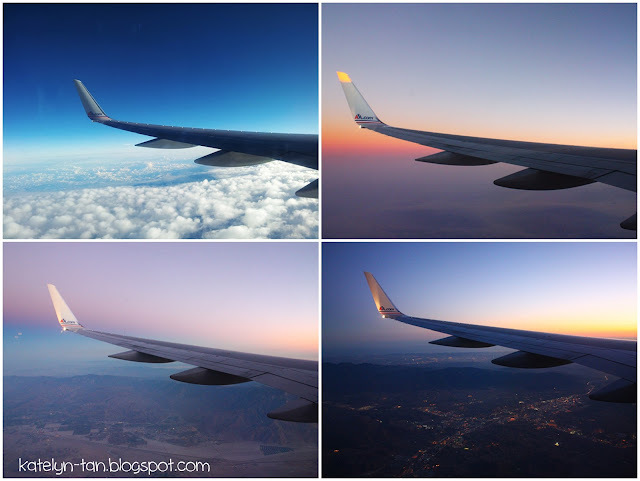 I love window seats! At Miami Airport. I almost got lost here. Had a mad rush. 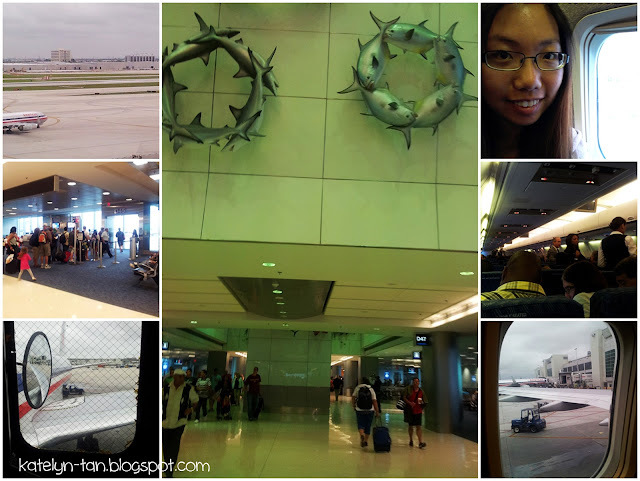 40+mins transit time and the airport was huge! I had to take sky train from one end to another! 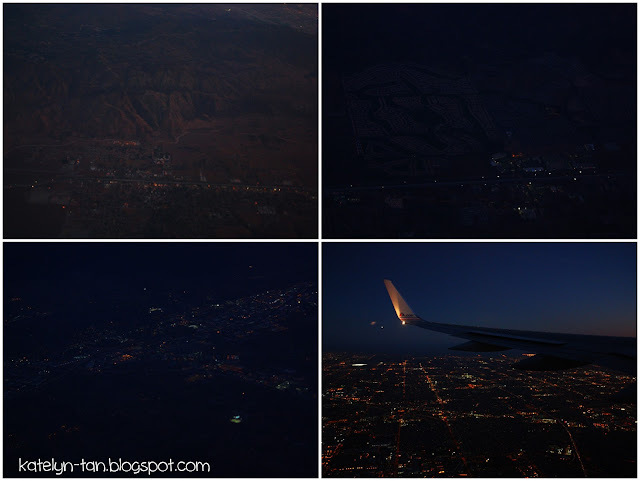 So the whole flight from Orlando to Los Angeles I get to experience noon to night sceneries on plane! At night already! Landing soon :) It was 8pm by the time I landed. We reached different parts of the airport. So Joy and Amelia met up and made their way to our apartment first while I went later. 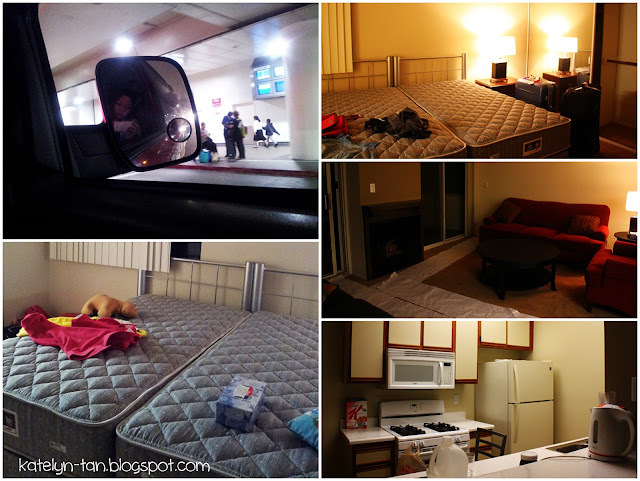 Took a cab to our Midvale apartment! The tenants just did some chemical wash to the carpets so we couldn't pull our luggages in. Luckily Jasper was there to help us carry our heavy luggages in! So Bella Pita was the first food we had in Los Angeles! And on the way some guy suddenly came to talked to us and recommended us Fat Sals. 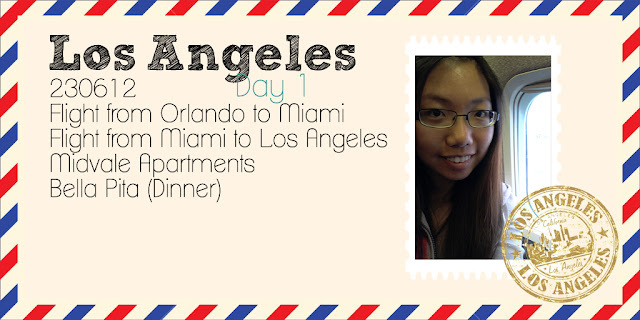 I wonder how I'm gonna write the rest of my travelogues cause I cannot count the dates properly since we did not stay in Los Angeles throughout. Almost every weekend we travelled to other places! I shall think of a way =P And that was very much our first day in Los Angeles!